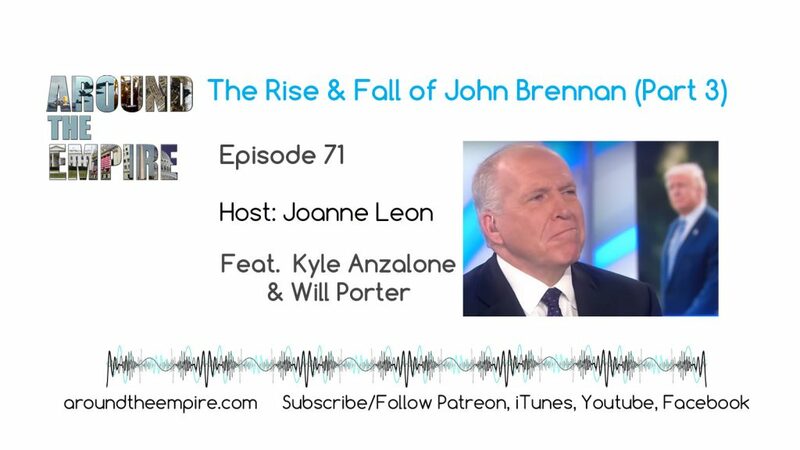 Friends of the show Kyle Anzalone and Will Porter join Joanne Leon for a special three-part series on the Rise and Fall of John Brennan, done in a roundtable format and released in three separate episodes in the coming week for our listeners or available in advance, in full for patrons. Kyle Anzalone is the host of the Foreign Policy Focus podcast and the editor-in-chief of ImmersionNews.com. He also writes the Daily News Roundup at Libertarian Institute. In American political life, few officials have weathered as many storms as former CIA director John Brennan. With a career marred by a virtually endless series of scandals, Brennan’s ability to maneuver himself within institutions of power has served him exceptionally well both inside and outside of government. Brennan’s decades-long tenure at the CIA presents a microcosmic portrait of US foreign policy since the fall of the Soviet Union—a true exemplar of the American role in a “unipolar” world. His name has become synonymous with torture, regime change, targeted assassinations, drones, spying, the arming of foreign militias and now, in the era of Trump, politicized intelligence. But that may have finally come to an end. The recent revocation of Brennan’s security clearance could represent the final nail in a coffin that, until now, has simply refused to stay shut. Join us in this 3 part series reviewing Brennan’s career at the CIA, the litany of scandals tied to his name, as well as what could come next for the retired intelligence officer. Support Kyle at https://www.patreon.com/ForeignPolicyFocus. Support Will at patreon.com/WKPJournalist. We are independent media and we rely on your contributions. Patreon: patreon.com/aroundtheempire Donations: aroundtheempire.com. FOLLOW @aroundtheempire. SUBSCRIBE/FOLLOW on iTunes, iHeart, Spotify, YouTube, Facebook. This discussion was recorded in two sessions: August 24 and 31, 2018. Music by Fluorescent Grey.